My mom is my biggest supporter. Although she’s not vegan, and doesn’t always share my view on animals, she has always shown her support—whether it’s going out of her way to make separate vegan dishes and desserts for me at family gatherings, or reading all my Facebook and blog posts. But if you're vegan, you know that it’s more than that. It’s about refusing to be complicit in the horrifying abuse and mistreatment of animals for those fleeting moments of enjoyment. Just because we don’t physically and directly harm the animals, it doesn’t mean we’re any less guilty than the slaughterhouse worker who does the dirty work for us. Every time we pull out our credit card or cash, we’re merely paying the hitman—even if our food looks nothing like the animal that was murdered by the time we pay ... whether it’s a churro, ice cream, a hot dog or a steak. Refusing to eat meat or animal byproducts is also about putting your money literally where your mouth is. It’s using your money as your voice—leveraging your buying power to show that there is a demand for vegan food, and that people want ethical options. So if I ate only half a churro, does that make me less guilty than if I were to eat a whole churro? Does that make me less guilty that maybe only one egg was used, versus two? No. A churro is a churro, and a life is a life. 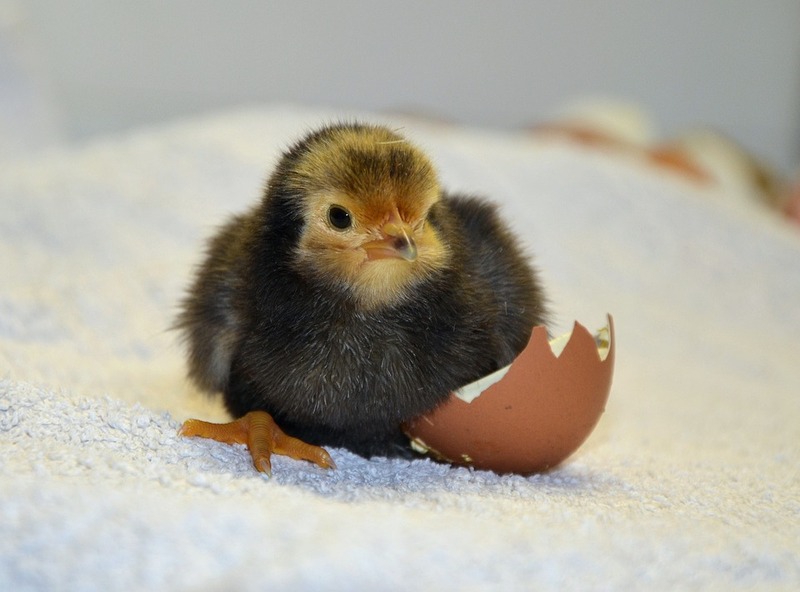 Male chicks were still ground up alive because they're of no use to the egg industry. It's not just about the unhatched chick that was used for a churro or a scrambled egg; it's also the horrific abuse in the factory farming industry, which includes sending millions of male chicks into grinders as soon as they're born. If you don't draw the line somewhere, it becomes too easy to justify eating half a churro, one scoop of ice cream versus two, a bite of chicken or steak, etc. It's important to stand firmly with your decision once you've drawn the line--out of principle, out of compassion, and out of respect for the billions of animals who are forced into a life of misery, pain and suffering, trauma and violent deaths to satisfy our food cravings. I am not saying that if you are transitioning or working toward a vegan/plant-based diet, that you must take an all-or-nothing approach. In such cases, I think it's a positive thing that you're even putting in the effort to adopt a plant-based diet by reducing your consumption of meat and animal byproducts. I'm just saying that once you've made your decision to abstain from such foods, it's important to stick to your convictions. And if you believe that one life is just as important as thousands of lives, it's easier to maintain a clearly defined boundary when you're faced with situations in which the lines are blurred--like eating a half churro versus whole, or a bite of a steak versus a whole steak. While some may see your refusal to eat certain foods as futile to saving an animal's life, you know that it means so much more. Standing your moral ground when it comes to your daily dietary choices may seem inconsequential to the casual observer, but it's a powerful act of defiance against the norms, and of maintaining that inner peace you found once you made the connection that all lives matter and became vegan for ethical reasons.